Halloween is just around the corner. It is a great time to get into the Halloween spirit with some gorgeous and spooky decorations. You don’t really have to spend a fortune on store-bought stuff for Halloween decor this year. Just with a bit of handiwork and creativity, you can make them all by yourself. Here are tons of gorgeous DIY ideas for your Halloween decoration. Browse through and get inspired to transform your house into a haunted haven with these DIY decorations. Turn the cheap and simple rummage sale vases to these gorgeous Halloween decor pieces with paints. Perfect for Halloween decorations. Tutorial via Balancing Home. 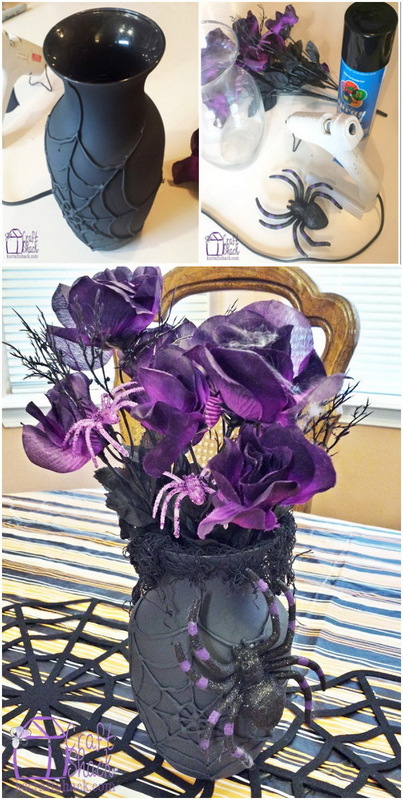 What you need are a glass vase, hot glue, sharpie marker and flat black spray paintto to make this dollar store spiderweb vase! Perfect for Halloween decorations. Tutorial via ks crafts hack. What a fun way to add that unique, whimsical touch to your Halloween Decor with these decoupages Halloween themed letters! Tutorial via ribbons and glue. Create these hauntingly realistic 3D cardboard tombstones to add some some fun or spooky flair to your front yard. See the tutorial via ehow. This creepy glow in the dark hand is the perfect DIY addition to add to your Halloween decor. Tutorial via wholesale halloween costumes. A cool way to light up your porch for Halloween and add a bit of whimsy to your Halloween Porch decor this year with these Floating Witch Hat luminaries! DIY instructions via polka dot chair. Scare up your house with a cloud of bats this creepy season! Super easy and fun to make with your families! Tutorial via instructables. 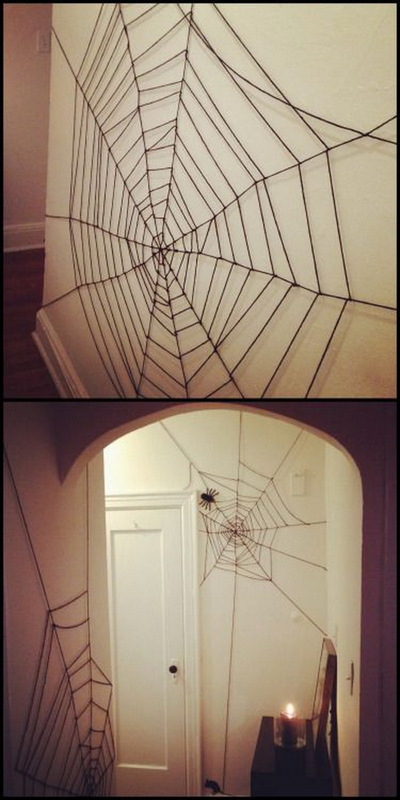 DIY very cheap and easy yarn spiderweb for the interior of your house or apartment decoration for this creepy season! DIY tutorial via halloween crafts. 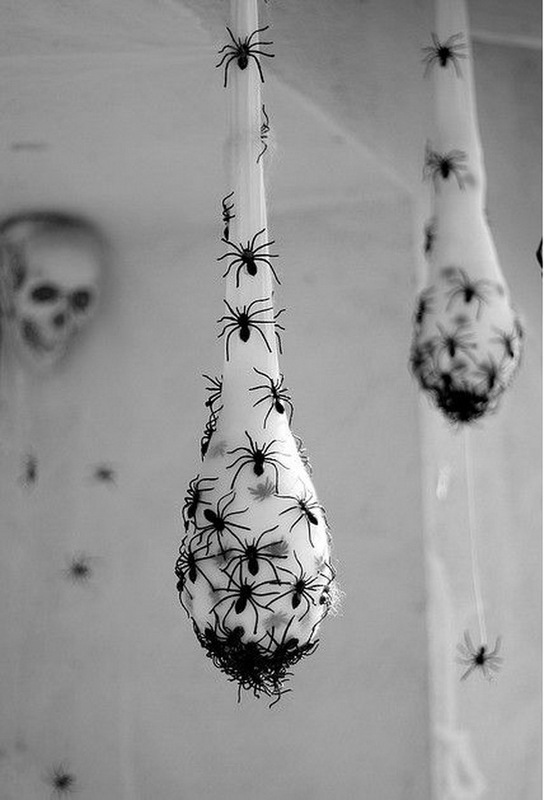 Simply wrap a foam egg in white batting, then position smaller plastic spiders inside…Another easy DIY outdoor Halloween decoration idea! Tutorial via passionate penny pincher. 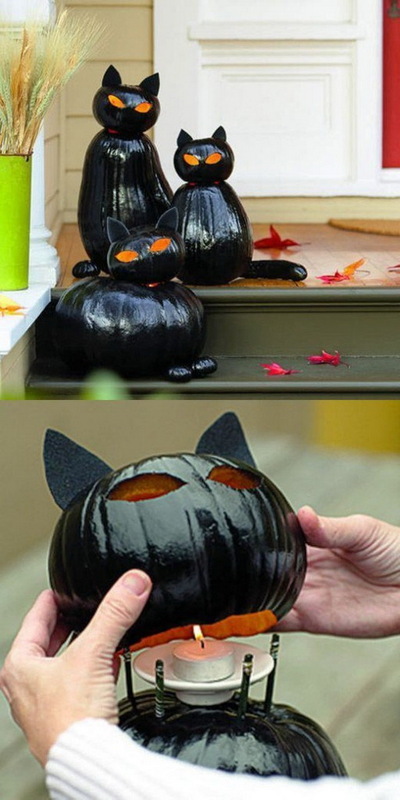 Create a big, black cat out of two pumpkins. It’s really easy to make, and are prefect for your outdoor Halloween decoration! Tutorial via sunset. Transform old pill bottles into frightening witch’s apothecary jars! A creepy addition to any Halloween display! Tutorial via ehow. These stunning handmade pieces can be arranged on tables around the centrepiece to add a touch of vintage elegance to the Halloween décor. Tutorial via big ang official. DIY zombie barricade, all made from cardboard! A fun and spooky addition to your Halloween decoration! Instructions via jays cup. Create these spell books to add extra spooky for Halloween. Add a few inexpensive Halloween trinkets to give them a creepy 3-D effect! DIY tutorial via ehow. 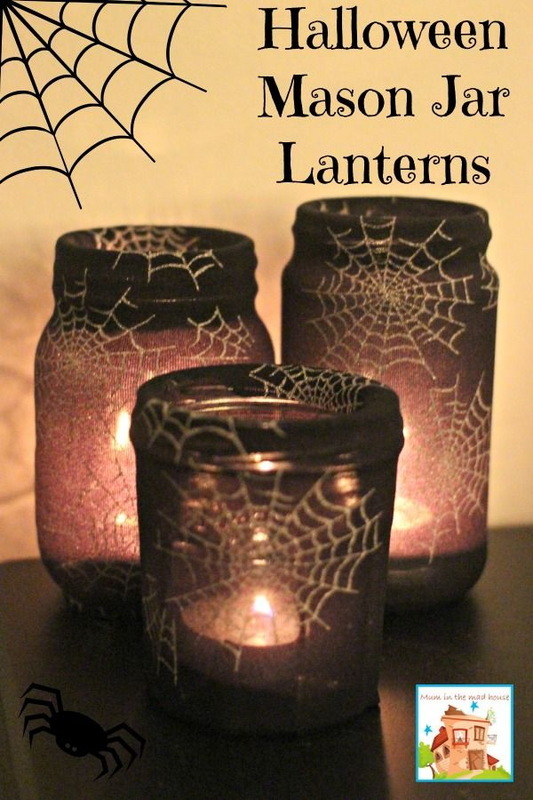 Make a creepy light up spider jar for halloween decor, center pieces or scary bathroom night light. Prefect addition to any Halloween collection. DIY instructions via mom dot. Get the DIY tutorial via momnivores-dilemma. Make a wreath out of plastic skeleton hands from the dollar store with metallic spray paint. Very cool work with an awesome aesthetic effect! Tutorial via tried and true blog. A few latex gloves and a permanent marker are all you need for these stunning glowing skeleton hands. Perfect addition to Halloween decor! See the tutorial via taryn williford. Transform ordinary die cut shapes and paper maché cones into unique Halloween pieces with some ruffled crepe paper streamers. 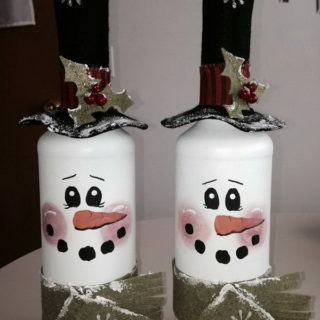 Pefect craft to keep up the holiday spirit this creepy season! DIY instructions via wholesale party supplies. 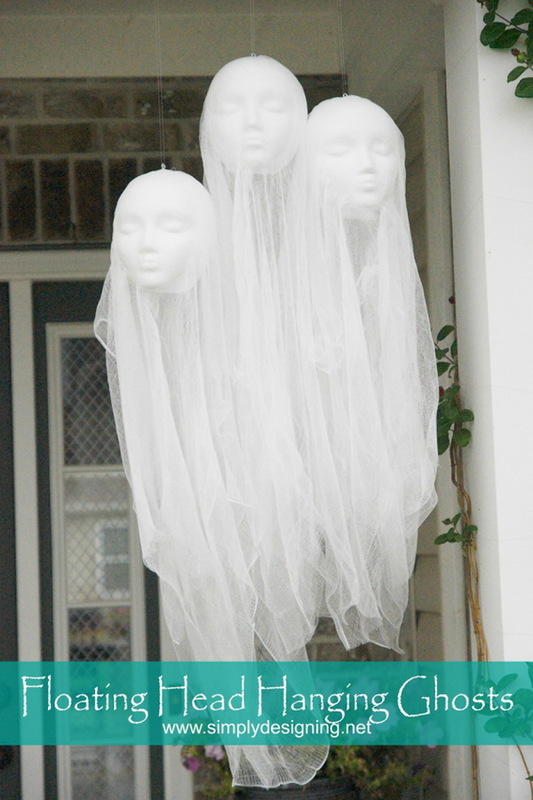 So simple and easy to make these really creepy and spooky Floating Head Hanging Ghosts! They make the perfect DIY for any Halloween decor! See the tutorial via simply designing. The perfect accent to add spooky atmosphere to your home during the Halloween season. Tutorial via kylyssa.hubpages. Super easy and quick to make with fun add the festive atmosphere to your house this creepy halloween season! Tutorial via mum in the mad house. Craft this spooky Halloween village to decorate your mantle or display at a Halloween party. Easy and fun to mix and match with supplies from dollar store. Tutorial via the 36th avenue. Add a cute and spooky touch to your home with these haunting luminaries that decorated with free printable templates full of spooky characters. They look great either in the dark or in the light! Tutorial via wholesale party supplies. Make your front door Halloween ready with these BOO letters. It’s such a cute Halloween accessory! See the tutorial via the 11 best. 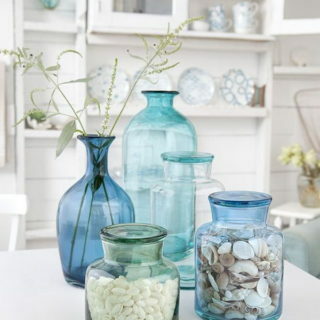 Cloches are very beautiful for home decor. While they can also be very pricey. 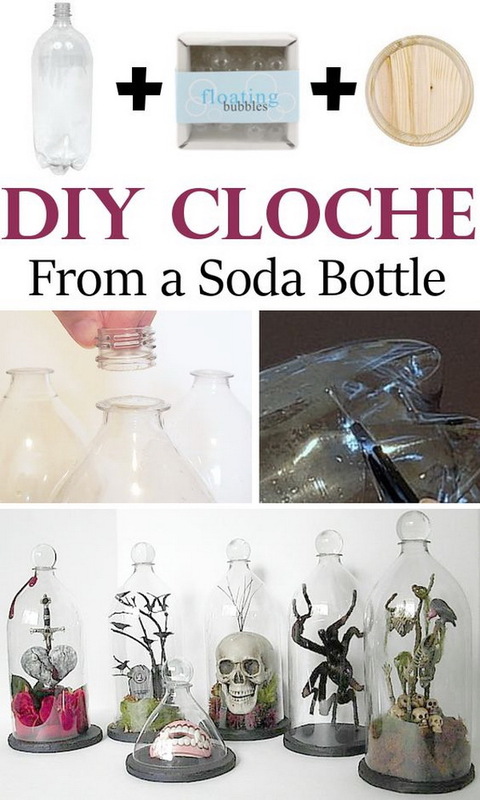 Here we showed you how to make your own cloche with a soda bottle. See the tutorial via diy home sweet home. These creepy candles are the perfect Halloween decoration to add a touch of drama to any home. 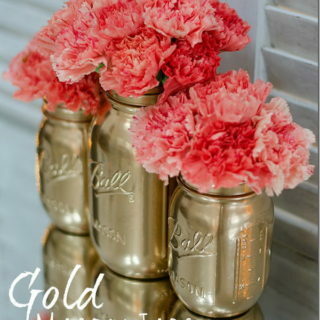 You can make it with inexpensive materials around the house. See the tutorial via oriental trading. These whimsical all-black painted cups are great as centerpieces for your next Halloween party. Tutorial via cutefetti. 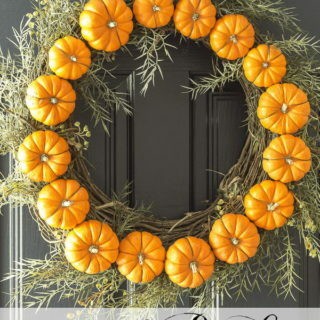 Another stunning DIY decoration idea for your front porch for this Halloween season! 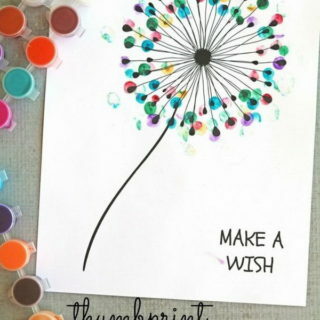 Tutorial via crafty morning. This black painted mirror is perfect for your spooky needs. Learn how to make it with things you probably have around the house via nobiggie. A perfect Halloween decoration that are pretty easy to make and so much fun. Tutorial via crazy little projects. Thank you for sharing my DIY cloche tutorial!! The idea of the halloween mirror is very great! Scary and funny! I like it!